Bristol Harbor Group, Inc. & The Shearer Group, Inc. Launch Newly Redesigned Websites | The Shearer Group Inc.
Bristol, Rhode Island – November 23rd, 2018 – Bristol Harbor Group, Inc. (BHGI) and its sister company, The Shearer Group, Inc. (TSGI) are excited to announce the launching of their newly redesigned websites at www.bristolharborgroup.com and www.shearer-group.com. Both of the new websites feature a modern design and new pages including a portfolio page, white paper page, and Finite Element Analysis and Computational Fluid Dynamics pages. Bristol Harbor Group, Inc. (BHGI) is a full-service naval architecture, marine engineering and consulting firm located in Bristol, Rhode Island. BHGI has been in business over twenty-five years, and has produced numerous designs, to which hundreds of vessels have been built. BHGI specializes in commercial vessel design and consulting, and has experience with tugs, barges, ATB units, passenger vessels, workboats, dredges and floating dry docks. The Shearer Group, Inc. (TSGI) is the global leader for design of inland towboats, barges, ferries and dry docks. 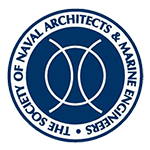 TSGI has a rich history of providing naval architecture, marine engineering and marine surveying services to the marine industry, with a focus on the inland sector.